© 2019	Howard Schoor Art. 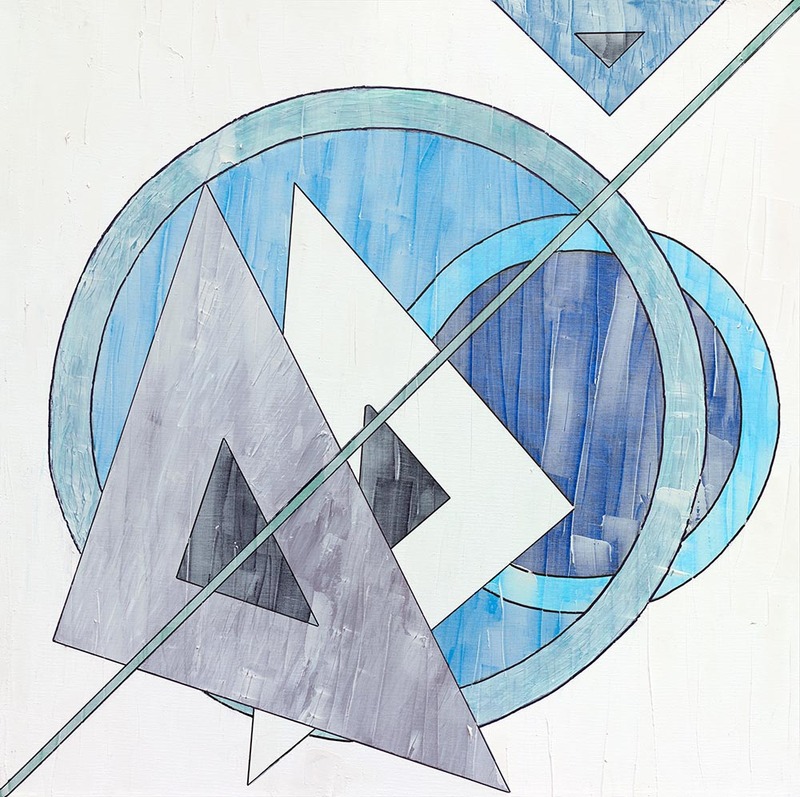 Original Triangle Plus series on white background with blues and teal. Mixed acrylic paint with spackle paste with acrylic markers, muted over with spackle paste, on stretched gallery canvas. MUSEUM QUALITY GICLÉE "ENHANCED LIMITED EDITION"
MUSEUM QUALITY GICLÉE "LIMITED EDITION"
Shipping within the contiguous U.S. is free. For all other countries, shipping costs are determined at checkout. To inquire about purchase, please provide information below. Howard Schoor Art will contact you within 24 hours. For behind the canvas access and all the news that is Howard Schoor and Trianglism, join our community.